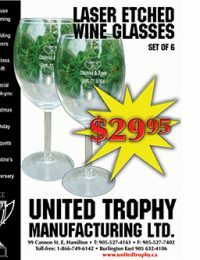 Established in Hamilton Since 1926, United Trophy MFG. has grown to be Hamilton’s largest Award Manufacturer. Established in Hamilton Since 1926, United Trophy MFG. has grown to be Hamilton’s largest Award Manufacturer. 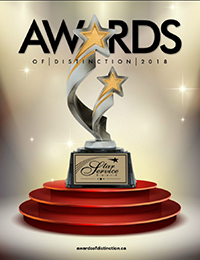 We supply trophy and awards to the Amateur Sports Industry, as well as the corporate community. We now also offer a full line of laser-etched wine glasses – add a touch of class to commemorate that special occasion or event. Have a question about one of our products or wish to get in contact with a sales representative? We have provided an electronic contact form for your convenience. 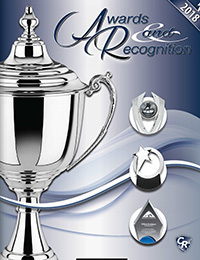 We supply trophy and awards to the Amateur Sports Industry, as well as the corporate community. We now also offer a full line of laser-etched wine glasses – add a touch of class to commemorate that special occasion or event. © United Trophy Manufacturing Ltd.